Do you think you can guess the answers to this fun Christmas party game? It's one of those games that's challenging enough for adult Christmas parties, Christmas office parties, and more.... AND it makes for a great Christmas partyicebreaker. The titles of familiar Christmas movies have been changed. Read the new titles and guess what the original Christmas movie title is. Hand out the list and have guests compete to fill in the titles the quickest or give a time limit and award a prize to the guest who guessed the most correctly. 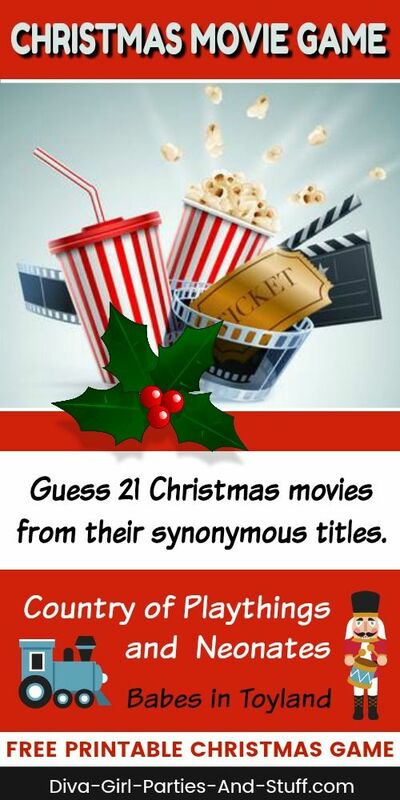 To make this fun Christmas party game more of an icebreaker, randomly read the crazy new titles below during the party and award small prizes to those who answer correctly first. Get a free printable copy of this game HERE. For a FREE printable version of this game, please fill in the form below. Answers to this fun Christmas party game are also below. 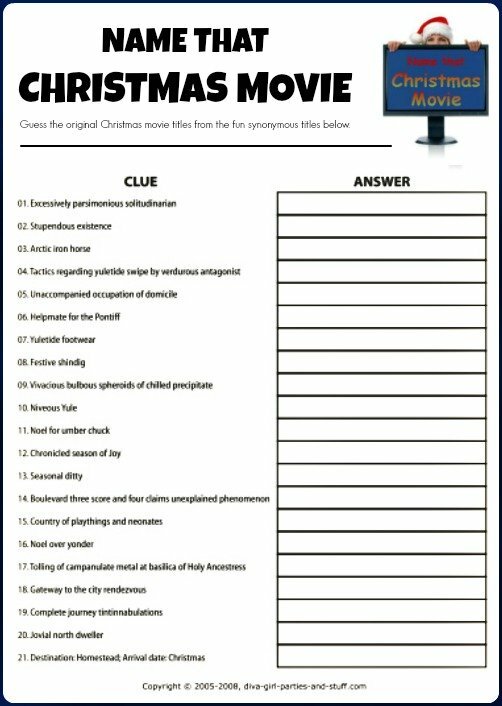 To view this printable Christmas movie trivia, you will need Adobe Reader installed on your computer (the latest version is recommended). You can get your free Adobe Reader here (a new window will open so you can download without leaving this page).